You’ve already completed Step #1: Buy stuff. Right. With that out of the way, you know what you are looking for. Does your blu-ray player have an HDMI output? Does your amplifier have an HDMI input? If it does, it most likely has an HDMI output to connect to your TV. Does your blu-ray player have an optical or coaxial digital output? Does your amplifier have an optical or coaxial digital input? Do you want 3D high-def TV, or just normal hi-def? If you want 3D, you may need newer HDMI cables. Does any of your equipment connect to the internet? If so, does it use Ethernet-over-HDMI? If it does, you will need HDMI version 1.4 cables! Now, you may have noticed that your amplifier supports 7.1 channel audio, and it has HDMI jacks, but it only has 5.1 channels in terms of analog speaker outputs. This is normal, unless you purchased a very high-end amplifier. For the rest of us, 5.1 speakers is more than enough. If you only have 5.1 speakers, your amplifier will “convert” the high-definition 7.1 channel audio into 5.1 channels for listening through your speakers. But, there are several “gotchas” to be aware of. I want the best HD audio possible! Great. In that case, you CANNOT use an Optical or Coaxial cable for your audio. Well, you can, but you won’t be getting the full HD bitstream. Or, you might – kind of. Basically, no one knows exactly, because it depends on your equipment and (apparently) the standard implemented for your S/PDIF jacks in your blu-ray player and amplifier. What we do know is that the bandwidth for S/PDIF Optical and Coax cables is not nearly as high as that of an HDMI cable, and thus if you want the best possible quality, ditch your optical and coax cables for transporting digital audio from your blu-ray player to your amplifier. Instead, you must use an HDMI cable for the audio connection between the blu-ray and the amp for 7.1 HD audio. Some audiophiles actually buy special blu-ray players that have 7.1 channel analog outputs. They then take those analog outputs, feed them into the 7.1 analog inputs on their fancy amplifier, and that’s how they get 7.1 channel sound. That’s a bit too fancy and cable-intensive for my tastes, though! I only have 5.1 speakers! In my own case, my old 5.1 amplifier could NOT handle a normal bitstream output from the blu-ray player when a 7.1 channel movie was playing. The new 7.1 amplifier (with 5.1 speaker outputs) does handle the normal bitstream output via Optical cable, AND it also supports the blu-ray player’s “Bistream – Audiophile” output setting. 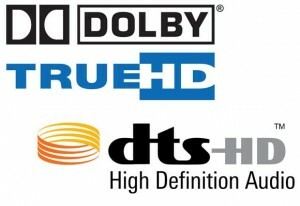 In both cases, the new amp identifies the input data stream from the blu-ray player as “Dolby Digital”. And here is where it gets hairy: Sometimes, even if your amplifier IS getting the full, 7.1 channel bitstream from the blu-ray player via HDMI, it will still report that it’s “only” using Dolby Digital 5.1 or DTS. In other words, it’s reporting what it has “down-converted” the sound to, not the actual input bitstream format. The good news is that if you use an HDMI cable to connect your blu-ray player to your amp, everything should “just work” in terms of bitstreams and 7.1 HD audio and all that jazz. If you know that the digital audio getting to your amp is uncompressed, full 7.1 HD, then the only impediment to great sound is the quality of your amplifier itself! 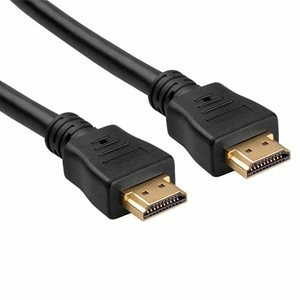 Also, to save yourself any potential headaches, go out and buy some HDMI 1.4 or 1.4a cables, sometimes known as “high speed HDMI”, or “high speed HDMI with ethernet”. 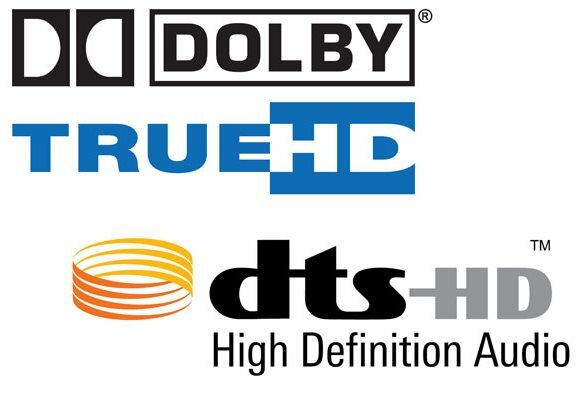 HDMI 1.3 cables fully support 7.1 channel Dolby TrueHD and DTS-HD Master Audio, but they do not officially support 3D video. HDMI 1.4 and above also officially supports: 3D video, ethernet over HDMI, ARC (see below), and 4k x 2k ultra-high resolution (which isn’t really available yet). You can check out a comparison of the different HDMI versions here. I can’t use my TV speakers any more! That makes sense, right? The blu-ray player sends the video and audio data to the amp. The amp processes the audio, and sends at least the video to the TV. The one benefit of this setup is that if your amplifier has on-screen menus, it can display them on the TV. Or, if your amp plays music from a USB stick, you can use the amp’s onscreen TV menu to browse for files on your USB stick. In any case, sometimes the amplifier has a setting for also sending the audio stream to the TV; sometimes, it doesn’t send the audio to the TV at all. Yet other times, your amplifier will be extra-fancy, and it will have a “Standby-Passthru” mode where, when the amplifier is turned off, it will keep sending the video/audio through to the TV. In my case, once the amplifier is turned off, there is no sound OR picture on the TV. Lame! There is a very simple way to solve this problem, however. Run over to your local electronics superstore or hop on the net to Amazon and search for “HDMI splitter”. You will want to find one that is powered, as powered splitters contain an amplifier to prevent signal degradation and to help support longer HDMI cables. Voila! Now, when you want Big Sound, you turn on your amp, turn down the volume on your TV, and you’re rockin’ and rollin’. When you want to just use the TV speakers, turn off your amp, and turn up the volume on your TV. There is also something called ARC, or Audio Return Channel. This is part of HDMI that allows you to use a single cable between the TV and amplifier to either output video/audio to the TV, or input TV audio to the amplifier. In any case, this doesn’t solve the problem of not wanting to have your amplifier on when you only want to use the TV speakers! My Amplifier / TV / Blu-ray player are turning on and off when I use a different remote! This is due to something called “HDMI Control”. HDMI Control allows you to operate external devices via HDMI. For example, if you connect a TV and amplifier that both support HDMI Control, you can control the amp’s power and volume with the TV remote control. You can also control other devices, depending on what’s connected to your amp and what devices support HDMI Control. Usually there is also a setting called something like “Standby Mode” or “Standby Control” that uses HDMI Control to turn your amplifier on and off, for example, when your TV is turned on and off. If you don’t like this automatic behavior, find the appropriate HDMI Control setting in your amplifier, TV, or other device’s Setup menus and disable it. 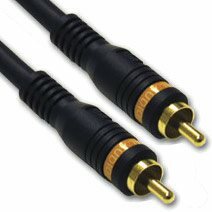 I’m using Coaxial – is optical better? Yes and no. 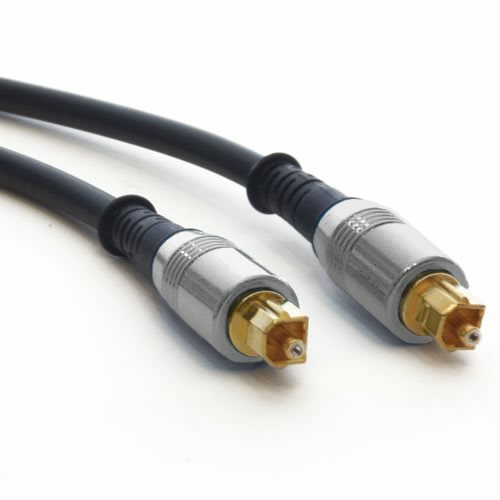 The fact is, both optical and coax cables use the same protocol to transmit data. While it is true that coax is not immune to electrical interference like optical cable, the simple fact of the matter is that coax cable by its very nature is highly immune to noise already. Plus, if you step on a coax cable, you probably won’t damage it. If you step on an optical cable, bend it too much, or smush it accidentally under a piece of furniture, you may have to buy a new optical cable. In any case, don’t listen to marketing hype about “gold-plated monster wires” and all that. It’s BS designed to get you to part with as much money as possible. The only thing “gold-plating” helps with is corrosion, and by the time your coax is corroded, you will have long since thrown it away and switched to HDMI – or whatever comes next! Well, there is a lot more one could write… For example, calibrating the speakers on your amplifier is usually a semi-painful process for those who are less technically inclined. Some amplifiers have an auto-calibration feature, and the amplifier comes with a special microphone for this purpose. If your amplifier doesn’t have this function, I still highly recommend calibrating all your speakers manually (refer to your amp’s user’s manual). Yeah, I know, that’s not the answer you were looking for, but in the end, it’s worth it. Each room is different acoustically speaking, so you might as well suffer a bit to get maximum enjoyment from your new toys! Also, there is a big difference between 2.1 and 5.1 channel setups, especially due to 2.1 setups’ lack of a center channel speaker. Get yourself a high-quality, more full-range (read: bigger) center channel speaker, as well as 2 large full-range Left and Right speakers. The two surround speakers can be smaller. The center channel is where all the dialog in movies is fed thru, so don’t skimp on that particular speaker. You’ll be quite happy with the result in the end! can I play 3D movies from USB of my LG La 6200, which connected through optical cable & hdmi cable to pioneer home theater. I mean proper quality sound…. through speakers. If not,what should I do for it……any option….. I have recently purchased Onkyo S9700THX 7.1.2ch (Dolby Atmos) product and its awesome!!! The only thing I was concern about which media player I should purchase to satisfy my needs, then I found this Samsung H6500 which exactly match my requirement because it has 7.1ch output and supports Dolby TrueHD, DTS-HD MA. I have number of movies (MKV files) with these format includes 7.1ch audio content and I thought this will be the best source to enjoy my movies through HDD via USB. I agree it outputs 7.1ch when I play the movie through Blu-Ray Disc. But when I use my external HDD which has MKV files with 7.1ch Dolby TrueHD, DTS-HD MA… the output getting to be 5.1ch. I have tried each and every aspect to make this work like changing PCM modes to Bitstream and vice versa, but nothing works it still showing as 5.1ch. I have nothing now to do now and just go with what it has. Is there any way you can help me out in playing 7.1ch through usb or any media player. In the manual for the H6500, it says in the Appendix in the Video File Support table that certain movie file formats are acceptable, with certain video codecs, resolutions, framerates, bitrates, and audio codecs. In short, not all video files will even play correctly – unless you convert them. But, specifically for the 5.1 channel audio, it appears that for all video file formats on USB, the only supported audio codecs are: AC3, LPCM, ADPCM, HE-AAC, WMA, Dolby Digital Plus, MPEG(MP3), and DTS. So it looks like 7.1 channel audio is only supported for Blu-ray disc playback. Unfortunately, that’s pretty common. Thank You Scottie for the quick turnaround. Really appreciate!! Thats exactly what I have expected. I think Samsung recommends installing some kind of media player software on the PC that will then stream to their blu-ray player. I’ve never actually used it myself, so I’m not sure if that’ll help. Hi Scottie! I have been trying to post his message since long time and now its the time. Onkyo HT-S9700THX + WDTV + HDD (movies files with 7.1 content) = ROCKS!!!!! I thought I read recently that using HDMI CEC ARC between Smart TV and Receiver will limit surround (step down) from 7.1 or 5.1 down to 2.1. Basically takes control away from receiver and hands over to t.v. Did I misread? Also I’ve seen conflicting advice about whether to plug peripherals (like Blue Ray and Roku via HDMI cable in my case) to Receiver or into T.V., so I’m confused. Maybe the second question relates to my first? Can you clear these two questions up for me please? I’m sure I’m not alone. Your article was excellent so thanks very much. It depends on how ARC is implemented in your TV. Some TVs will only send 2-channel audio to the receiver via ARC. Other TVs will send only certain sources in 5.1 (like built-in vid streaming stuff), and they will send audio from other connected sources (like a blu-ray player) in 2.0. So, it really depends on how ARC is implemented in the TV, which makes things more complicated. In general, you want to connect as much as possible to your receiver, and NOT to your TV. That avoids most of these kinds of problems. Hmm, you probably won’t be able to get them to work simultaneously. If the blu-ray is connected to the TV’s coax input and the Minimix is connected via RCA analog inputs, then usually you can select one or the other on the TV as the audio/video source – but not both at the same time. The only way I can think of where it would work is if your blu-ray player has RCA audio outputs (red + white). If the blu-ray could send audio to the Minimix, and then the minimix could send its analog audio output to the TV via RCA, you could select the combined audio on the TV. BUT, when you do that, most TVs will also select the video input (yellow RCA) associated with the audio inputs you’re using – not the HDMI video input from the blu-ray player. The Minimix doesn’t seem to worry about video. It’s basically designed to sing along with some music input, and that’s it. That gives you DVD + karaoke disc reading, HDMI output for video, 2 mic inputs, but again only RCA analog audio outputs (for music + mics). Same thing applies here: to use with your TV, you would need to connect the yellow RCA video output to your TV, and then select the AUX input on your TV to get the video plus mic + music audio (not HD, of course). The other outputs work just like a normal DVD player for surround and such. Well, that’s probably not what you were hoping for. It may be possible to make your TV work, but I doubt it. TV’s are usually THIS input, or THAT input – period. Plus, simple karaoke setups are usually very, very simple – IOW without much fanciness, and usually all analog and non-HD. That also means you don’t get much flexibility in how you can set things up. If I understand your setup correctly, your blu-ray only has HDMI out. It really depends on your TV, but generally speaking, TVs won’t pass audio from HDMI inputs out the digital coax to the receiver. Usually, this is for sending surround from the built-in tuner (TV/Sat) to a surround receiver. So, I’m guessing you’d need a different receiver – specifically one with multiple HDMI inputs, and 1 HDMI output to the TV. Then the receiver will pass through video/audio to the TV, or you can use surround on the receiver and mute the volume on the TV. If you really like your receiver, I’d get a different blu-ray player that does have optical or coax out. If the receiver has more than 1 digital input (like 1 coax and 1 optical), you could keep your TV hooked to receiver via coax, and get a blu-ray that has optical out to the receiver. 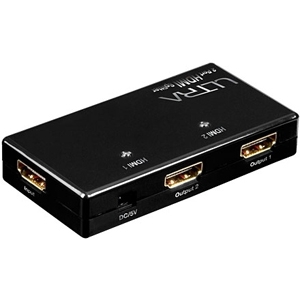 or a multi port HDMI switch with optical output. also, I will add I have not used the unit I posted above. But If my situation was similar, I would give it a shot. I also like that it has a pass through feature. Way cheaper than purchasing a new AVR….. I Enjoyed your conversational approach to setting up my system. I went for the coffee and following your direction things went well. I have a ARC HDMI input 1 on my Panasonic TV. Do you know anything about programming my FiOS remote to control the receiver and tv so I can eliminate the pile of remotes on the coffee table? Thanks for taking the time to simplify my sunday. Nope, I’ve never had FiOS – unfortunately! Hi. I want you to suggest how to connect lg led TV model 42lf5530 and Phillips home theatre 5.1 model spa7000b/94. You’ll probably need to get something like the Logitech Harmony 650 universal remote. It can control up to 8 devices at a time – out of 225,000 different total devices. It works by connecting the remote to your computer, you select your devices, and then I think it downloads the necessary “codes” from Logitech for your specific gizmos. I checked, and the Harman Kardon AVR 4550 is supported! Hi, my bluray has a component output and 2 hdmi; hdmi main and hdmi audio only. Compo output is connected to av amp(no hdmi). I’m now trying to connect ‘hdmi output audio only’ to another preamp which has only rca. In the case, do I need some converter or just use cable with rca and hdmi in both ends. My bluray player is Samsung bd- j7500. Yup, you’d need some kind of converter. 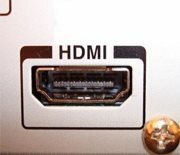 HDMI audio is digital, and the RCA input is line-level analog. I have a Samsung DVD player/receiver that has 5.1. It has optical input. And my tv has coaxial output. As suggested in the manual I bought an adaptor that would take coaxial input and optical output. After connecting my tv to my receiver I am getting 2.1 only for all programs I am watching on tv. But if I play a DVD in my Samsung it plays 5.1. How to make my tv audio come out as 5.1. Please help. Usually, there is an audio setting in the TV where you can change the digital output (coax) format. You should be able to choose 2.1 or 5.1, at least. Of course, this depends on the TV, and it may be that not all sources will output 5.1 audio. That’s also common, and something you usually don’t find out until after you buy the gizmo and try to hook it up. There may also be a similar setting in the Samsung player/receiver where you have to tell it to expect 5.1 on the optical input. HDMI is usually better in that respect because it (usually) detects things automatically. 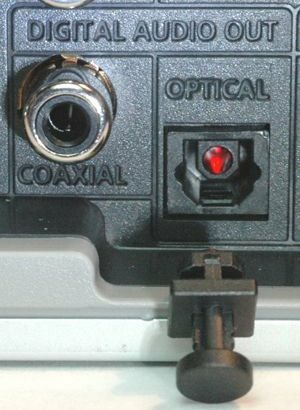 But for optical/coax, I often find that I have to manually switch settings on the DVD player and on the receiver. Thanks a lot Scottie. I was able to figure it out, it’s the audio setup in my receiver that needed to be changed to prologic to make it work. Scott i could use some help! Goal: Make my dual 5.1 systems play DTSX and True HD off PC. ok I have 2 separate 5.1 systems in use. the FRONT is out of GTX 1080 via HDMI to receiver. the BACK is analog out of analog ports on pc. I know you are not supposed to be able to use digital and analog at the same time but i do…………for music, all 14 [5.1.2 front and 5.1 back] work great, in unison, for music. Problem is the proprietary sound fields on movies only the front works for that. I think I need a converter of some kind that will A. split the HDMI signal and B. [probably a 2nd device] convert one of these to analog for the BACK speakers to pick up the DTSX and True HD signal…………….Possible, or pipe dream? I would not care to much if there was no advanced sound field IF the back would just play, immersion is incredible for music and games and I would like to have it in movies too [the differences between DTSX or True HD VS mutichannel are small but noticeable. I admit that I should just be happy with the 5.1.2 in front for movies but after I solved the dual digital and analog issue, nothing is out of reach. Any ideas?? hello, so am i right that a hdmi splitter can send video to tv thru hdmi out1 and audio to avr at same time thru hdmi out2 ……reason being is that i have 65 inch p series vizio and its 4k,the issue im having is that i got a full 4k nvidia shield tv which runs at 4k 60fps. my tv has one port for 4k 60fps and my avr has 4k passthru but for 30fps , so i cant hook up to avr then to tv i loose 30fps and if i hook up to tv input first i loose hd audio,i need a full 4k signal to tv and full hdmi audio to avr is this possible? Yup, that should work. The only catch is that the HDMI splitter must support HDMI 2.0 since v2.0 is when support for 4K 60fps was added. I have an interesting one here. I Had an older 46″ Sony tv (not 4k) , Yamaha amplifier RA-A1070 5.1.2 setup, PS4, Sony S790 Blu-ray and Panasonic DMP-UB900 4K player. And a Foxtel box. all connected with HDMI. Foxtel straight to tv, everything else via the amp. Pass-through worked fine, whether amp was on/off, decoded Atmos, DTS-X, etc. All good, happy as a clam. Then I upgraded the tv to a 4K Sony 65 inch 9000 series and find……. 1/ Panasonic 4K will not transmit 4K video and 7.1 audio down the same HDMI, it even says it in it’s manual. So now using 2 HDMI’s, Video to TV, Audio to amp. Also amp is confused, probably because HDMI is only carrying audio and keeps automatically switching from Video 1 to Audio 1 ( which is the default input for ARC to the amp. I have to wait for the video to start playing and press video 1 again, then it sticks. 2/ Sony Blu-ray similar problem (it has 4K upscaling). Suddenly no audio at all, whether the amp is on or not. Eventually I plugged it straight to the tv and audio returned. 3/ PS4 seems to work no differently. Frustrating on a number of levels; instead of my tv using 2 HDMI inputs I am now using all 4 and because the tv input is not coming from the amp it’s ability to process Dolby Vision is being wasted. 1/ Am I missing anything ? 2/ Is this 2 HDMI issue because both the players are old and if I brought a brand new one can I run everything with 1 HDMI again? Also, I have tried completely disabling ARC to fix the switching issue but to no effect. It doesn’t look like you’re missing anything to me. This is the problem with all these different components and standards. I’ve seen the Panasonic issue before (need 1 HDMI for vid, 1 for audio). I just hook everything up that way now with all new HDMI (2.0/2.1 nowadays) cables whenever I upgrade 1 component. What’s really annoying is that even when the manual says, “Yep, supports Dolby AtmoSuperSoundX”, it often doesn’t work. I also never use ARC or pass-through, because it just never quite worked right no matter my config.